Seven possible goodnesses before breakfast. I like it. 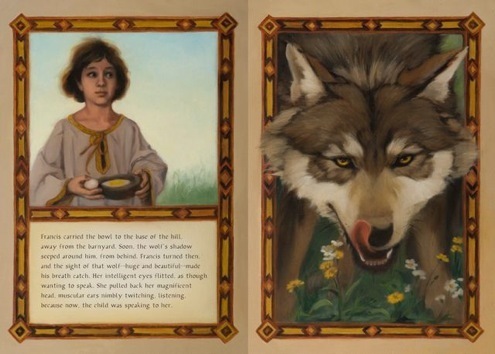 And this one involves one growly wolf before breakfast, too, Nobisso basing this on two famous incidents from the childhood of the saint — one of them being when he converted the fierce wolf of Gubbio. And…well, I don’t want to give away every inch of the book, so I’ll stop there. 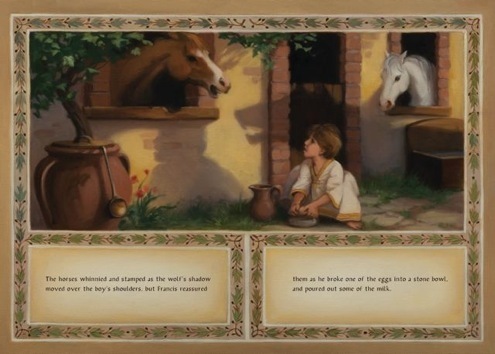 Nobisso writes with an immediacy that draws in the reader, and Hyde’s bucolic oils—she traveled often, “over two decades and two continents,” the author’s postscript says, doing these paintings—are rich and finely-detailed, bringing the boy saint vividly to life. Here are some more spreads. Enjoy. FRANCIS WOKE UP EARLY. Copyright © 2011 by Josephine Nobisso. Illustration © 2011 by Maureen Hyde. Published by Gingerbread House, New York. Spreads reproduced by permission of the publisher. 1) Well, best kick of all is that, as you read this, I’m either in the air, on my way to New York City, or—depending on when you make it to this post—I’m already there, walking around with wide eyes. And that’s ’cause I’ve never been to NYC before. No, really. Today is devoted to wandering and exploring and quite possibly seeing some illustrator-type people I’ll get to meet in person for the first time. (No computer screens between us.) Yes, I’m wearing comfy shoes. I’m in NYC for this. That’s tomorrow, and I’m super excited about it. 2) An illustrator told me a neat story this week about landing a book deal after being featured here. Those kinds of connections make me so happy, I can’t even say. Connecting is why I blog. No other reason for it. 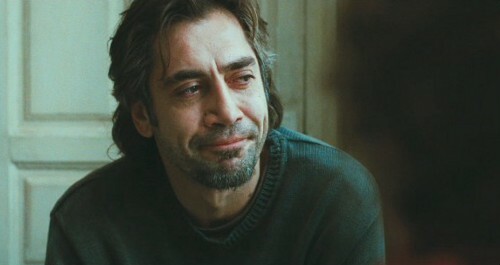 3) I saw Biutiful with Javier Bardem, and it was so powerful and beautiful that I can’t get it out of my head. Let’s just take a moment, shall we, to look at Mr. Bardem in this role (as Uxbal) and wonder and stare and admire and quite possibly applaud, because that was some acting, let me tell you WHAT. 4) Here’s the wonderful Sendak portrait in Vanity Fair that I mentioned last week. 6) Have you seen Uncovered Cover Art? Wonderful. Thanks to everyone for the anarchic entries. 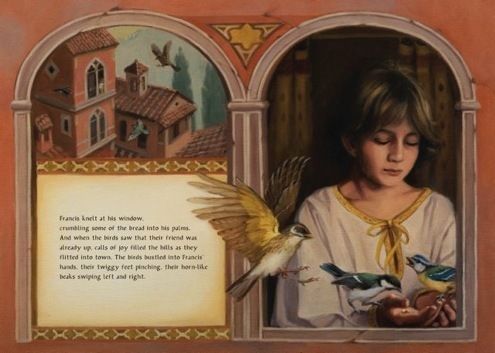 Literacyhead is running a special for readers of Seven Impossible Things Before Breakfast. Join Literacyhead in the next week and you will get two, one-year subscriptions for the price of one! Simply join Literacyhead through the subscription link at Literacyhead.com, then write to us through the link on the “Contact Us” page and tell us if you want us to extend your new membership by another year or give us the name and email address of the person you would like to give the extra subscription to! “I’ll be offline tomorrow – Might I post my kicks now? I am posting on Sunday night here so that I don’t do my usual Monday morning rush and only fit in one kick. I will try to come past again to read all the kicks, though! Jules, NEW YORK CITY?! I am so excited and happy for you! I hope you are having a fantastic time. NYC seems like one of those places that is so familiar from books & TV that it is hard to imagine it being real. Little Willow, a festival of plays sounds like fun! Congrats on all the good news, and yum to cocoa and cheese (though not together). 2. We think my niece is saying my name! Well, mema which is pretty close to Emma (I also have vague memories of my youngest sister or counsins calling me thisa as a child). 3. A busy week including a trip for work to Canberra. It was very cold there, -3c (26f) in the morning, so I rugged up in my UK gear and went for a walk in the frosty morning. Great fun, like being in a different country. 6. I love my big washing line that is in the sun for most of the day. I know the use of washing lines outside is less common in the US than in Australia or the UK, and you guys are missing out. Yout can’t beat sunshine smelling sheets and clothes. A BIG week for me! 1. My second grandson was born: Charles Hampton “Charlie” Marks arrived July 29 around noon in Little Rock, Arkansas and was welcomed by big brother (2 yrs 4 mos) William with whom I am charged with playing for the month of August – most pleasant assignment this GiGi could receive! 2. The Macy’s promotion for RIF closes today after 5 weeks. I hope we can announce the results soon before I pop because the results as of last notification are TERRIFIC! Thank you everyone! 3. RIF had a very successful visit to Tupelo, MS for a United Way Back to School Resource Fair on Saturday where our team gave out 6000 books to children and families from a 7 county area; these were families affected by the spring storms and most lost everyhting including the roof over their heads, many are living in cars if their car is still functional. School supplies, books, underwear, hair cuts, lots more! 4. I am out of DC for a month! Of course I did not improve my standing with weather conditions, but the psychology of Little Rock, Arkansas is FAR better than what is in the air in DC right now! 5. Peaches, peaches and more home grown peaches…juice dripping from my lips! 6. My sister came through some surgery just fine! 7. A friend who was diagnosed as having a recurrence of cancer learned after testing in three states and all doctors conferring it was a shadow that continued to show on x-rays until the end, hallelujah! Have a good week, we’re having fun drawing and painting and coloring and more here, just William and me! I just recently received a copy of FRANCIS WOKE UP EARLY from Gingerbread Books. It’s truly gorgeous! I’m tickled to see it featured on 7 Impossible Things Before Breakfast! Their book, IN ENGLISH, OF COURSE, is also one of my favorites, both for the intelligent way it addresses learning English as a second language and for the clever illustrations. Jules, we have the best anarchists here, ever. I love that Disneyland story very much. Congratulations, Little Willow! I’m happy to read about peaches and lemon trees too. 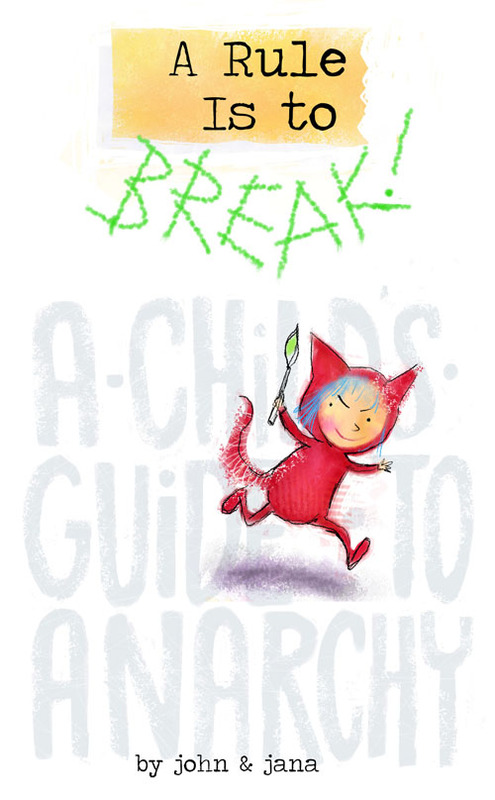 I appreciate Denise’s sabotage of trout-starving by giving the fish some bread, and am stoked to get a copy of my own A Rule is to Break. 1. My husband makes me breakfast! He just brought me a poached egg on toast. 2. Farmer’s market today in Lake Forest Park. Apricot butter and black currant jam, you’re coming home with me. 3. My daughter’s former kindergarten teacher was in town last week, and she came over to our house for dinner. 4. I just saw the film “Children of Men.” Much to think about. 5. Seatttle had 3 days of sun before reverting to grey. Yesterday, I worked in the garden. 6. I won a copy of A Rule is to Break! 7. Jules is going to NYC. I’m going vicariously. Great kicks today. Congrats to the prize-winning anarchists (didn’t you guys have bit parts in The Big Lebowski? ), and also to Little Willow: huzzah for acting out your own words! 2. My only niece got engaged on Friday. Yay, Suse! 5. On the HP topic: we were in Orlando last weekend; among our objectives was the new(ish) Harry Potter area of the Universal theme park. I’m not a huge fan of huge roller coasters, so didn’t get on any of them. But the “big” HP ride, something like ‘The Forbidden Journey’? Almost worth the price of admission, that one. It had me trembling on the brink, several times, between OmigodthisisFUN! and Omigodomigodsweetjesusmarymotherofgod…! 6. Mary Roach‘s non-fiction. Funny, funny, informative, weird, and funny. It doesn’t hurt that she’s a trivia addict… the footnotes in her books should be collected for one of those bathroom-reading anthologies. P.S. Bonus kick: I understand Tumblr even less than I understand Twitter. But the tumblog (is that the right word??) called Teaching Literacy is consistently interesting, and often very, very cool. 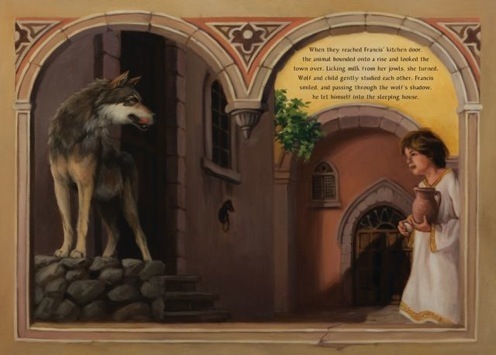 Ooooo, the text/illustrations of Boy Assissi being stalked by the lurking wolfy shadow must surely make for a suspenseful read for kids. The Mediterranean quality-of-light is nice too. Thanks for sharing. Thanks for nudge to watch Biutiful; my son bought me a copy, said it was his favorite performance by an actor. Gonna watch it tonite. LW – applauding especially loud for #5.
emmaco – “mema”. Hey, someday you will “Auntie Em”! Rasco – no kidding, a big week for you. Welcome Charlie. Go RIF! Jan – sharing “In English” lead. Farida – I really love the whole idea of “quiet anarchy”. Oh, and yes, I did appear in TBL: as Dumpster Diver #2. Ha! 1. A compliment from a person I admire. 2. My uncle Ralph’s 81st birthday; my cousin meant party for his 80th but she did the math wrong . (!) So we celebrated 80 yrs + 365 days. 3. Finding out I’ll receive the fine book: “A Rule is to Break”. Yea! 6. Baby birds nesting outside my office window — took flight. Bye! 7. Looking forward to SCBWI Summer Conference next weekend. Have a great week everyone. August is here. Hi, everyone. I’m here now, though no one else may be! Better late than never, right? Little Willow, I hope those auditions went well. Emma—I mean, Mema—so good to know you’re settling in. That must feel good. I’d hang our clothes on the line in a heartbeat if it didn’t make my husband sneeze all day. Nothing like sunshine-soaked clothes. And strawberries….mmm. Carol, your kicks are so particularly kickin’ that I might just go find you on FB right now (since I’m slow this week) and congratulate you. Jan, just read IN ENGLIGH, OF COURSE, and I liked it, too. Farida, speaking of poached eggs, I had a lovely breakfast here with Betsy Bird and Liz Burns and MotherReader, and I had poached eggs on some of the best scones I’ve ever had. … I wish you could have really and truly gone to NYC with me. Dang, I still just want to have actual coffee together. In person. Not just cyber-coffee. John, nope, not creepy. I don’t think so. I’m reading the series now with my daughters (though I suspect I’ll have to stop soon), and we watch the movie after each book. (DANG, THE ADVERBS in Book Three seem to the the worst, but I digress. Otherwise, we’re having fun.) … I am laughing outloud at your description of the HP ride. And congrats on kick #1, John! WOO and HOO and WOO again!